The article, written by Leroy et al. (2016), provides evidence that industrial purse-seine fisheries may negatively impact artisanal and subsistence fisheries. Specifically, their study of skipjack and yellowfin tuna populations showed that these species may have longer residency times in nearshore habitats than in open ocean habitats. 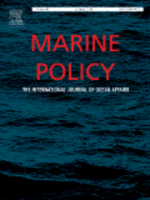 Authors argue that area closures for industrial fisheries may assist with the management of artisanal fisheries and that the proximity to industrial purse-seine fishing may be an important factor for planning and evaluating the performance of artisanal fisheries in the western Pacific region. To find out more, read the full article.